Run as a GUI, Oddjob provides a simple form for entering properties including a password prompt. 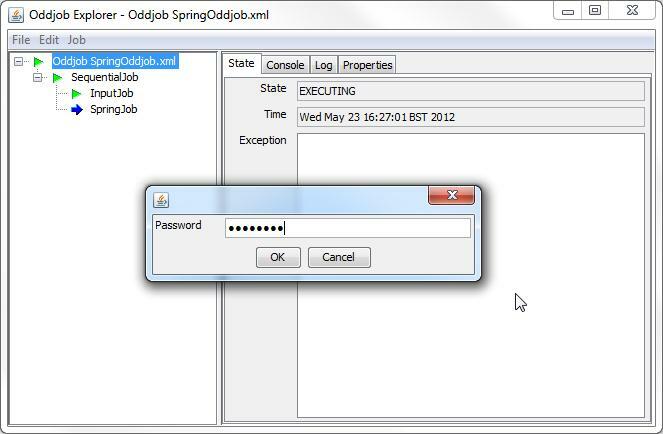 The password prompt sets the property jdbc.password within Oddjob and my new SpringJob automatically makes every property defined in Oddjob available in Spring. SpringJob can be given the name of any Runnable defined within Spring and it will run it. Any exceptions will be reflected in the state of SpringJob, and this can be used to trigger another job such as an email, or it can be used in a retry timer. Here it is having run successfully. And that’s a very quick look at an Oddjob property in Spring. 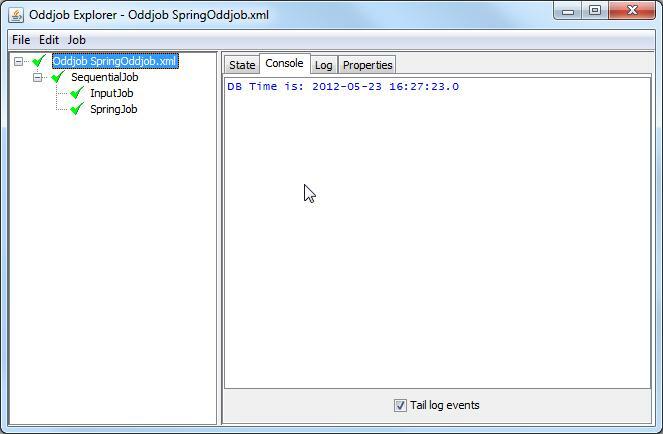 The Oddjob Spring jobs can be found on Sourceforge here. They require Oddjob 1.2 to run, it is still in development but a reasonably stable snapshot can be found here.